While volunteering on a sanctuary in Costa Rica, Samuel Samuels was given a lovely cuddle by a radioactive sloth and was changed forever! He gained their long arms and a cute face, and the ability to slow his enemies to the speed of a sloth, giving them time to reassess the poor choices they’ve made in their lives. 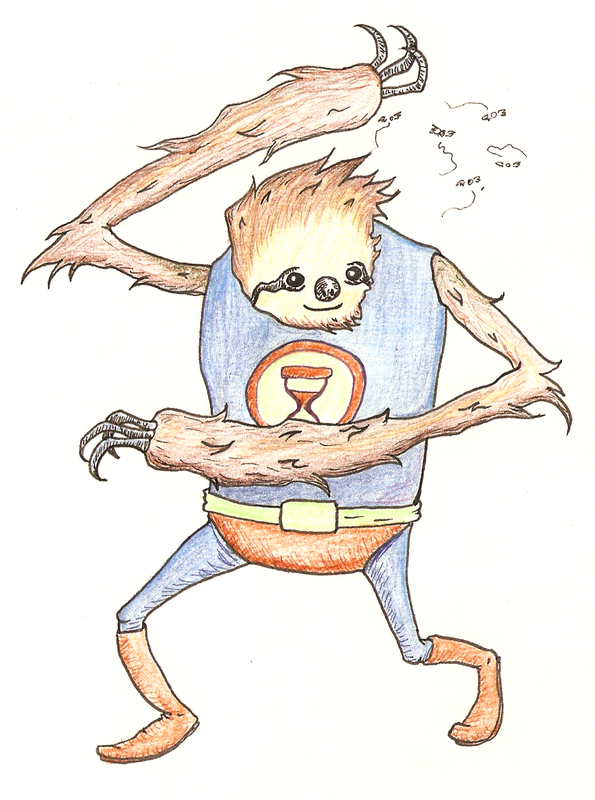 This entry was posted in Uncategorized and tagged DC, Marvel, Sloth, Superhero. Bookmark the permalink. yay for making up superheroes!